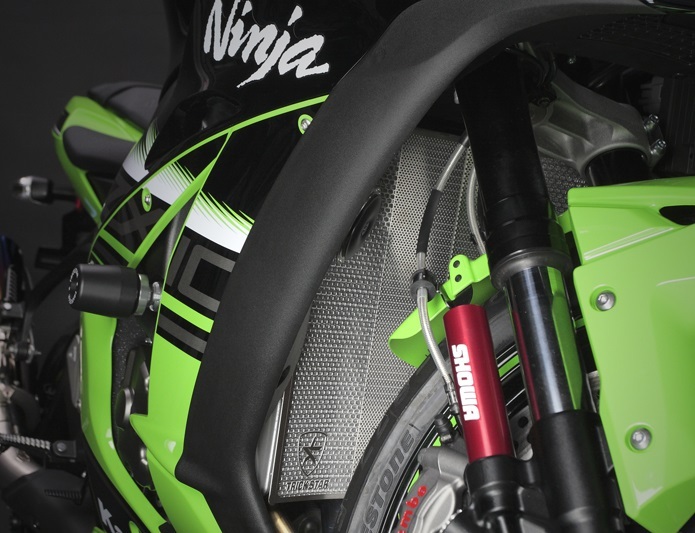 New stylish aluminum radiator core guards are available from TRICK STAR. The core guards correspond to sports bikes like KAWASAKI NINJA, YAMAHA YZF-R25 and MT series. They are finely meshed in the center and largely meshed on the outside to offer security and cooling performance with stylish features. When you look at it from the front, the stainless steel core shines brilliantly with awesome TRICK STAR logos printed on the guard. If you own a sports bike, make sure to check’em out!